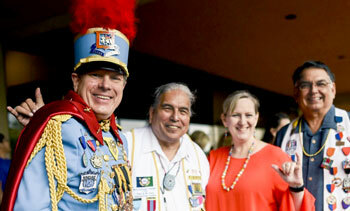 The Texas Cavaliers’ River Parade has been supporting local children’s charities since 1989. This colorful and vibrant parade not only lights up the streets during Fiesta, it also lights up a child’s face. 250,000 people attend the parade each year, but Texas Cavaliers only reserves 17,000 tickets for purchase. Tickets go on sale January 1st. The Texas Cavaliers is an organization of 600 business, civic and community leaders, who dedicate their time and talents in support of San Antonio area charities. Founded in 1926, the organization has blossomed into an influential part of San Antonio culture. King Antonio, the Cavaliers, and their generous supporters donated $1 million this past year to local children’s charities through the Charitable Foundation. 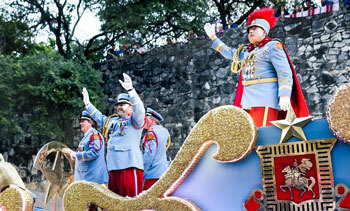 The Cavaliers are also responsible for every facet of the iconic River Parade. 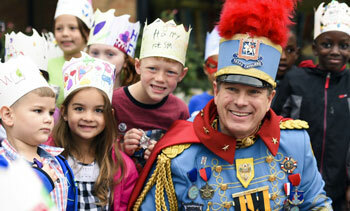 All net proceeds of the parade benefit the Charitable Foundation. In 1989, the Texas Cavaliers made a commitment to help the lives of San Antonio area children by establishing the Texas Cavaliers Charitable Foundation. Since its humble beginnings, the foundation has raised millions of dollars for children’s charities and organizations in San Antonio and South Texas. 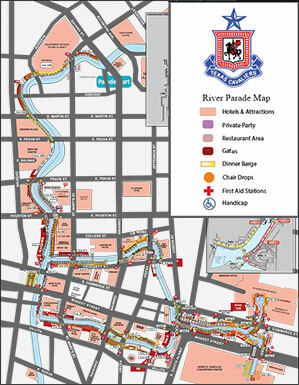 Thank you Texas Cavaliers River Parade for putting on the most unique River Parade in the country. Kudos! My favorite memory of the river parade was when my grandparents would take me as a child. We would pack a picnic basket full of sandwiches, sodas and goodies, and it felt like we were going on an adventure. I want to continue this tradition with my daughter! © Copyright 2013-2019 Texas Cavaliers. All Rights Reserved Worldwide.